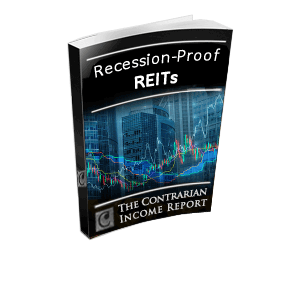 Yes, start my risk-free membership to Contrarian Income Report! 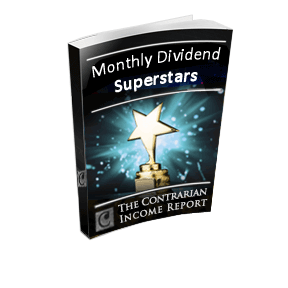 I want to enjoy worry-free 8%+ dividends to grow my portfolio and make the most of my retirement, while keeping my capital fully intact. 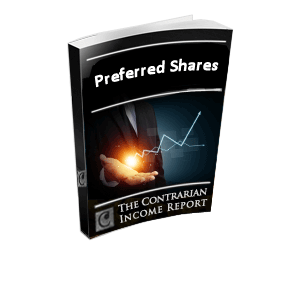 Inside you’ll find my favorite fund for investing in preferred shares, along with its management profiles and investing strategies. The fund pays 7.4% today, and the high yield is great, but its best quality may be its lack of correlation with the broader stock market. The shares this fund owns are preferred in every sense of the world – meaning it gets paid its fat dividends no matter what the broader market does. The 11.8% payer that’s uniquely positioned to thrive in the current interest rate environment. ... the 80+ year-old asset management firm that recently slashed its dividend by 45%, yet still has a lot further to fall. Many super-investors agree on the virtues of contrary thinking, but none of them specifically outline how they go about finding these unpopular stocks to buy. That’s exactly what Brett reveals in this step-by-step contrarian guide. 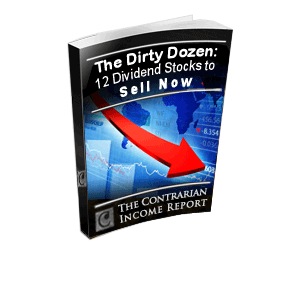 By following these steps, I’ll be able to find the types of stocks that Buffett, Graham and many other greats are also sorting through. 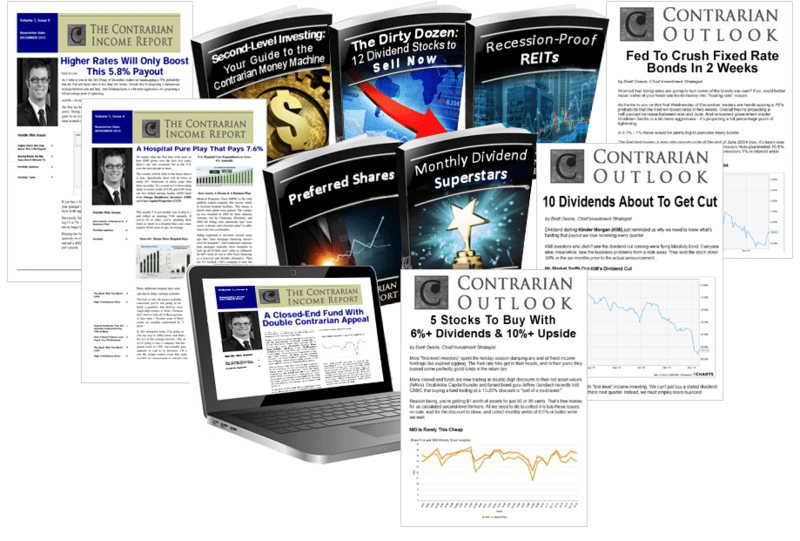 12 Monthly Issues – On the first Friday of each month I’ll receive Brett’s latest Second-Level investment research right in my inbox. It will include at least one new recommendation, updates on existing positions and an overview of trends and events that may affect my portfolio. Flash Alerts – I’ll never have to worry about missing out on breaking news on portfolio stocks. Brett has an eye on all of them 24/7 and will email me right away if there’s ever any change in our position. 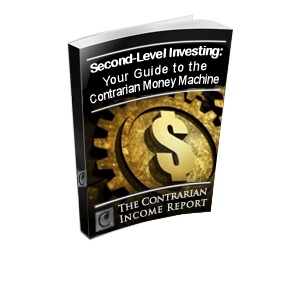 Second-Level Coaching – I’ll profit handsomely (and safely) by following along with Brett’s portfolio, plus I’ll learn the “how” and the “why” behind each pick, with detailed explanation of his reasoning and expectations to help me find other safe, under-appreciated opportunities. Weekly Market Analysis – Sent straight to my inbox, I’ll get Brett’s weekly analysis of major market events, and other second-level ideas and stocks he’s been watching. Quarterly Webinars – About every three months, I can attend a live, members-only webinar with Brett on current portfolio recommendations and his thoughts on pressing member questions. 24/7 Access to the CIR Website – Day or night, I can log into the password protected website, for easy access to all of our resources, including the archives with each monthly issue, special reports, Flash Alerts and the full portfolio. My membership also comes with a 60-Day Risk-Free Guarantee. I’ll take advantage of the service for nearly two full months. I’ll follow the stocks I like best from the private portfolio and have the chance to learn Brett’s approach. 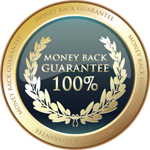 If I’m not 100% satisfied in the first 60 days, I will simply let you know and receive a full refund of every penny paid. No questions asked. The regular price is $99, but I am going to take full advantage of this limited-time special offer. I will only pay $39 for the first full year of my Charter Membership. To create my account and receive instant access to all of my membership benefits, all I need to do is complete the registration form that starts below. * For your convenience, your membership will automatically renew each year at the then-current rate. You may turn off his feature at any time with no obligation.